In Resident Evil 4, U. S. Agent Leon S. Kennedy must investigate the kidnapping of the President's daughter by a mysterious cult known as Los Illuminados. Leon's search brings him to a rural village in Europe, where he encounters a horde of unimaginable horrors and must fight to uncover who or what is behind it all.This item is FREE delivery.Suitable for the Xbox One.This game is classified as certificate 18. It contains content unsuitable for persons under 18 years old. It is illegal to supply it to anyone under that age. DO NOT attempt to purchase the item if you are under 18.With gameplay focused on visceral gunplay, this critically-acclaimed chapter in the Resident Evil saga revolutionised the series. 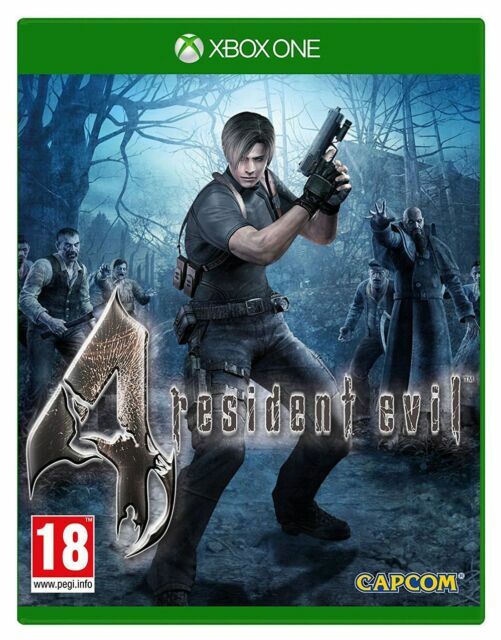 Resident Evil 4 boasts chilling and action-packed encounters with enemies e.
I've bought this game every time it's been available... Gamecube, PS2, PC, 360 and now Xbox One... It remains one of the greatest games of all time.